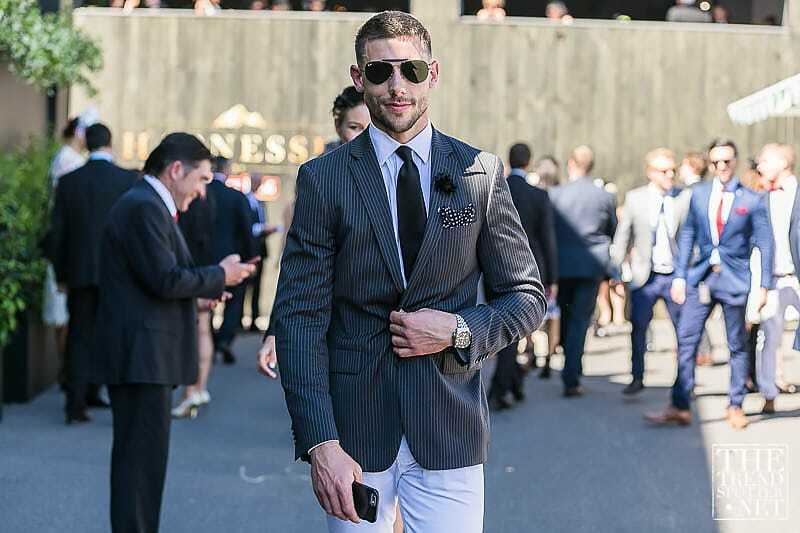 If any day in the spring racing calendar provides a sense of history it’s Derby Day. 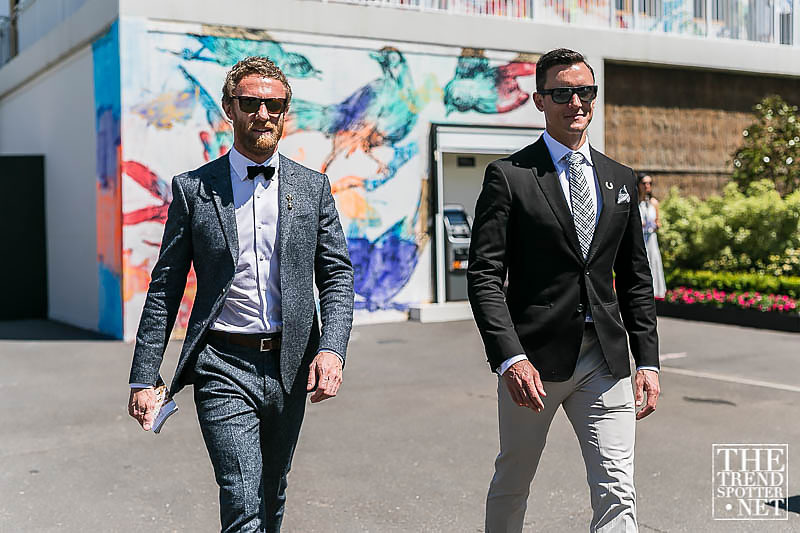 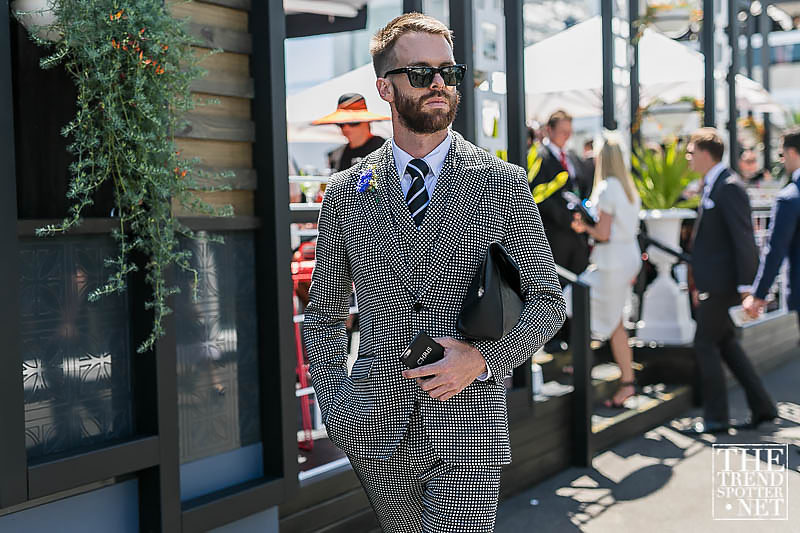 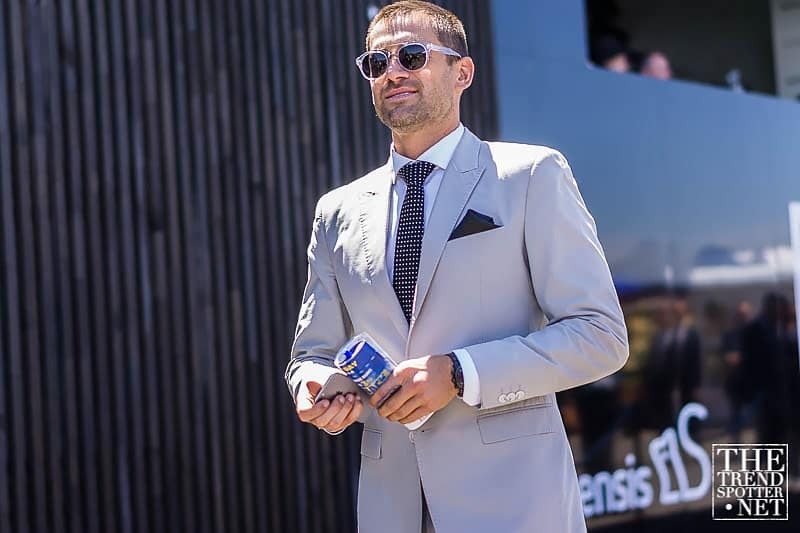 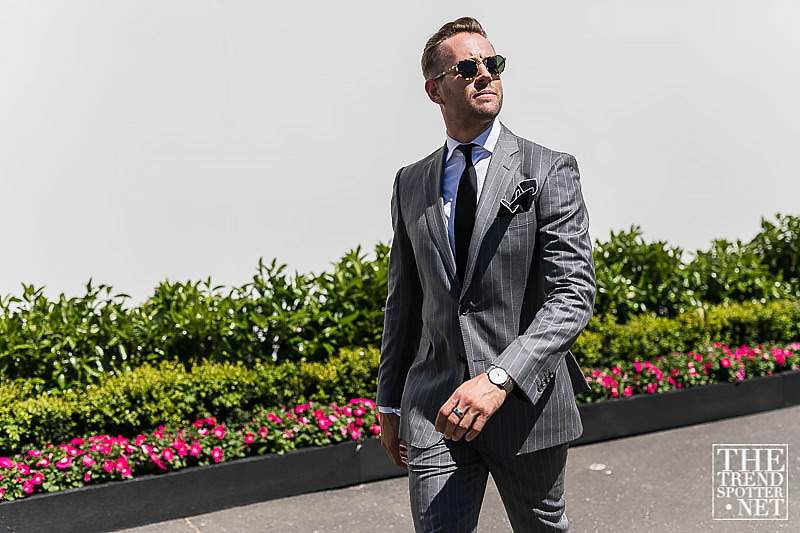 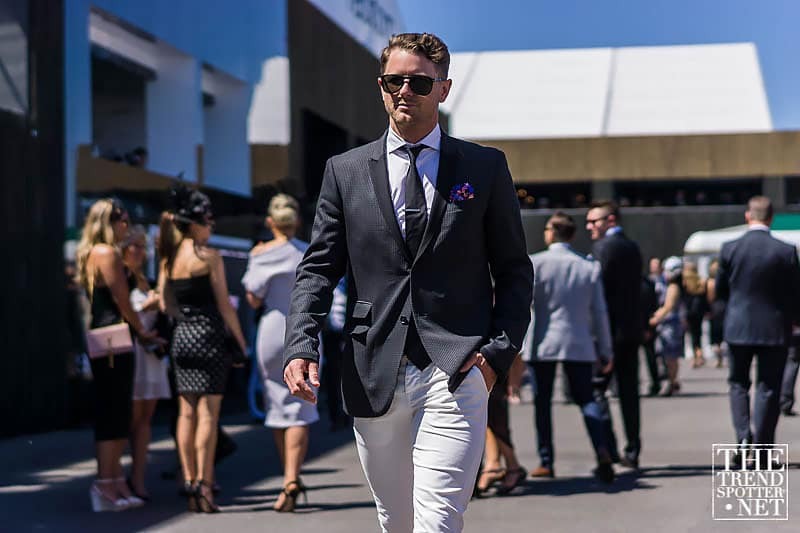 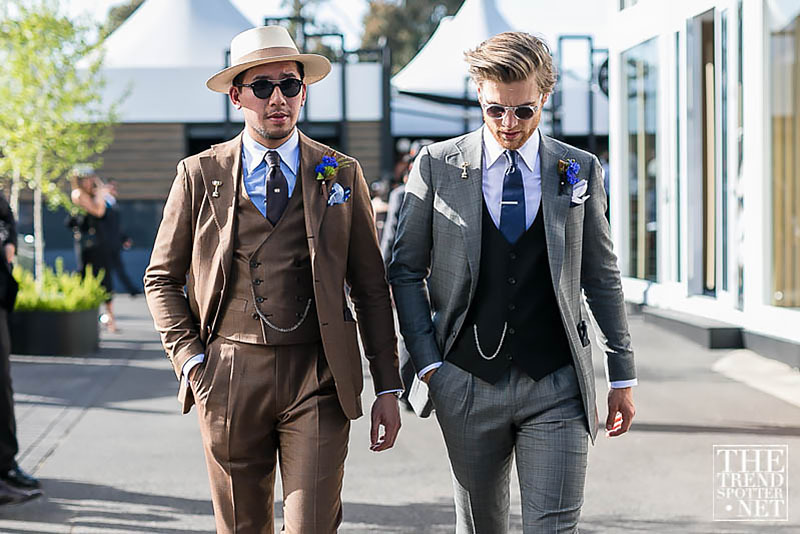 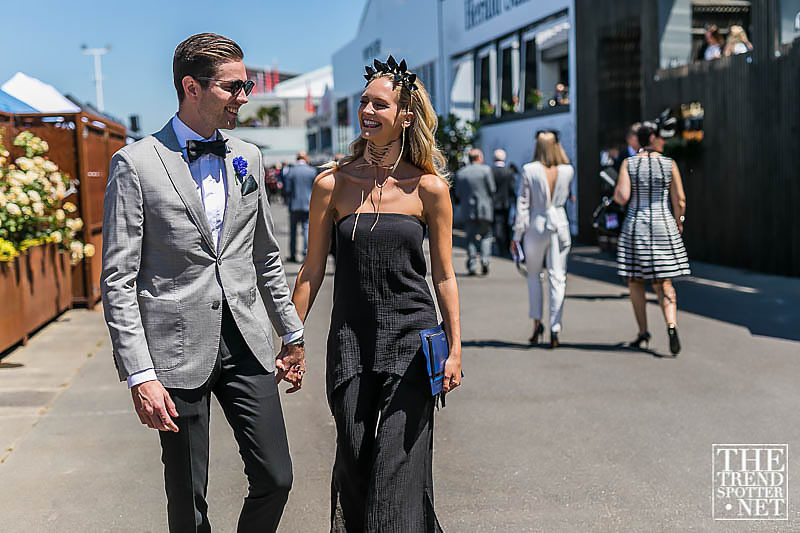 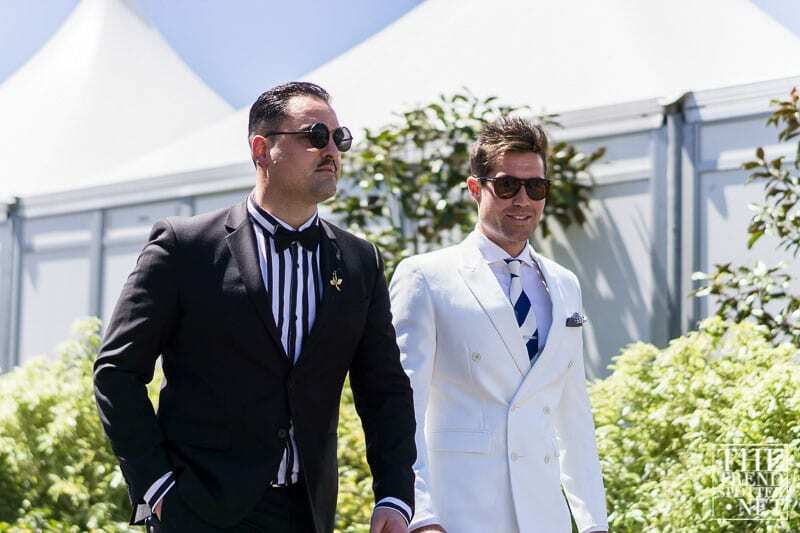 This is where tasteful interpretations of classic race wear pay tribute to a dress code which traditionally consists of a black and white offering. 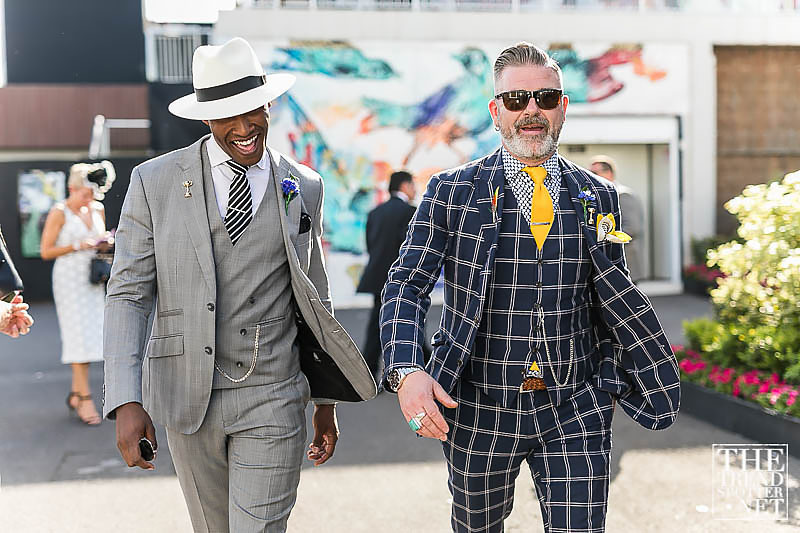 This by no means limits the creative expression that frames the day – it’s more a confirmation that a delightfully subdued palette can draw focus to shape, texture and embellishment. 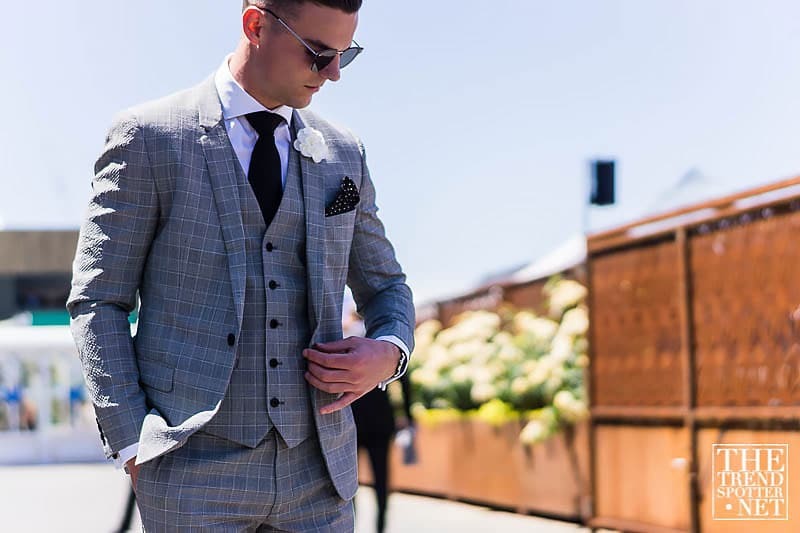 This year there was a strong emphasis on mismatched suiting for the men where solid colour was blocked with either subtle texture, mini geometrics or check. 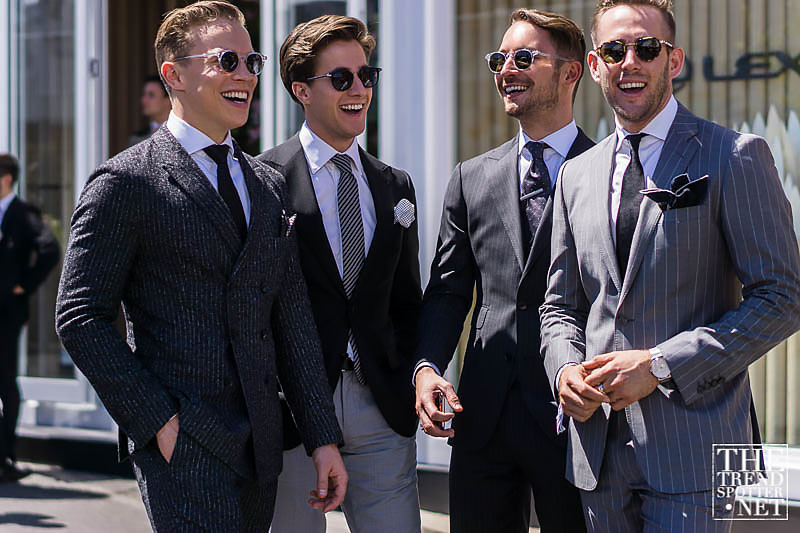 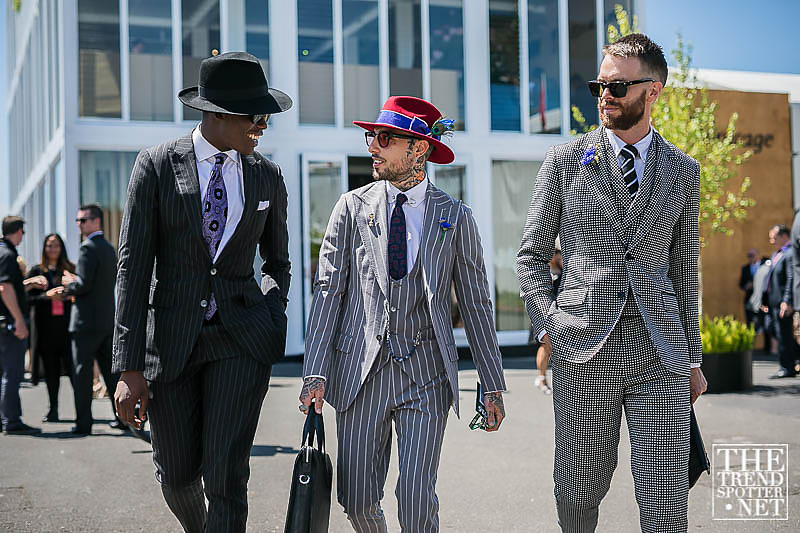 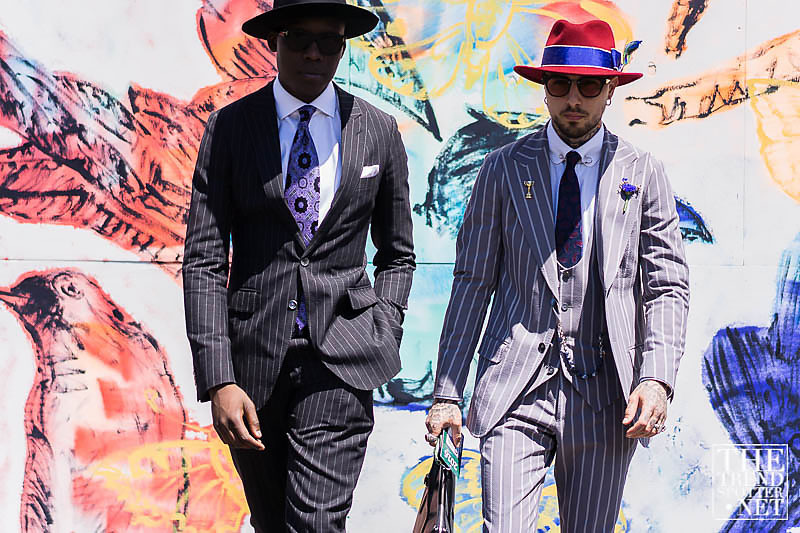 For those who chose a more co-ordinated path, the three piece suit was a credible option – some choosing to amplify the look with a bold pinstripe. 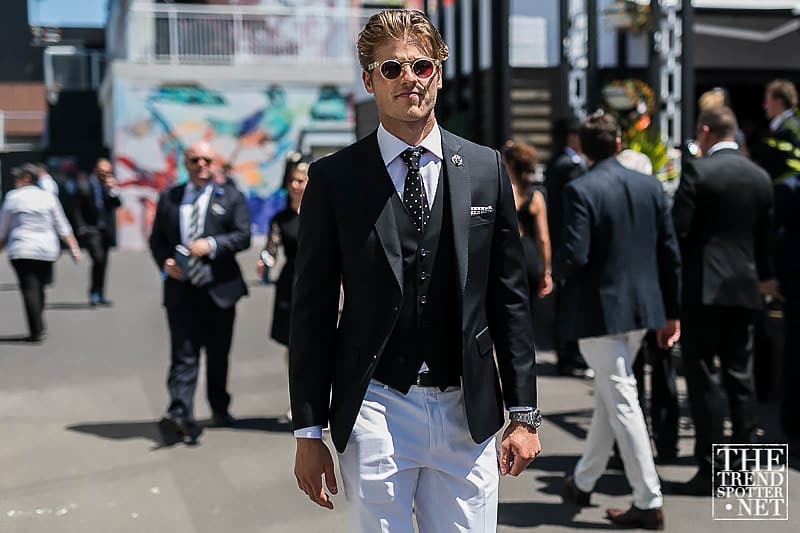 The men’s silhouette has remained largely unchanged from last year in terms of pant length and jacket shape although the re-emergence of the pleated front pant was a preview of coming attractions. 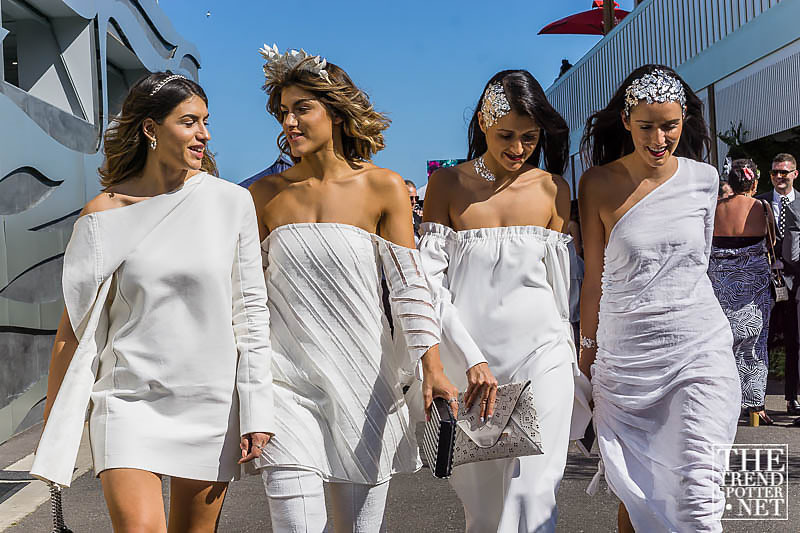 The customary monochrome was no limit for the ladies either who showed a staggering variety shoulder looks from halter to asymmetric with strategically placed cut outs for heightened drama. 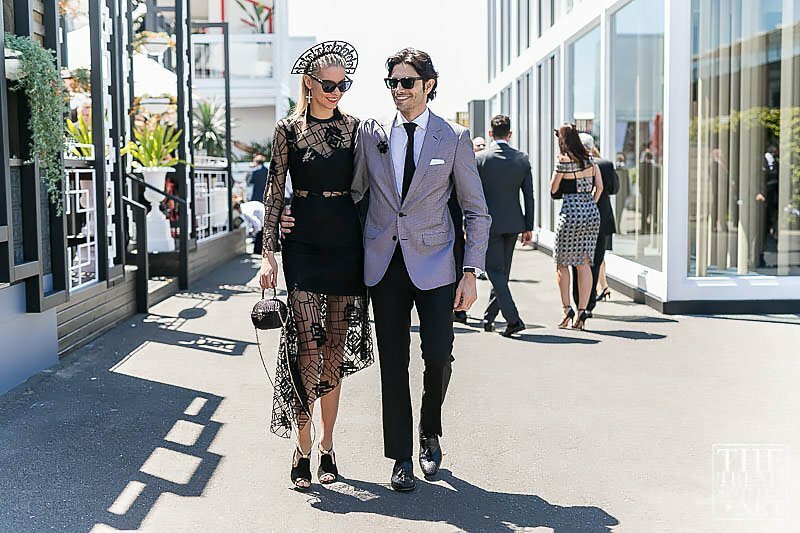 Lace was abundant in either head-to-toe with structured under garments or cut with panels and cascading ruffles. 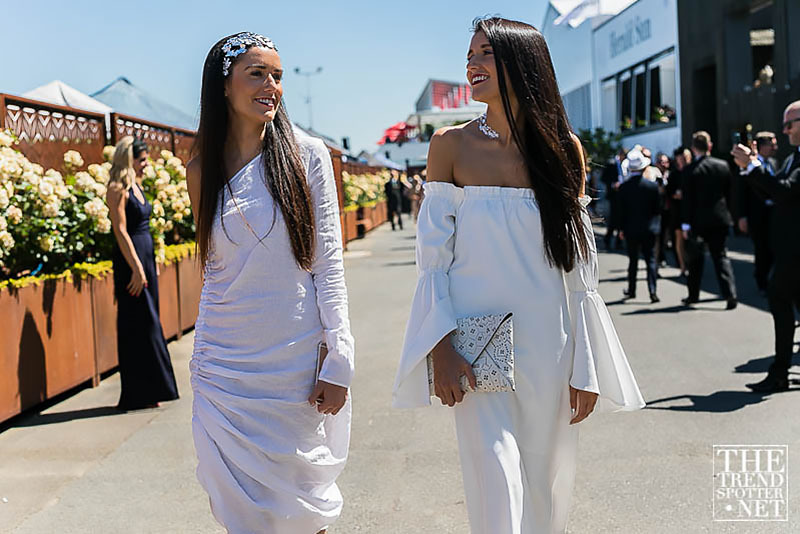 The batwing sleeve and chunky pleats added soft volume and defined silhouette. 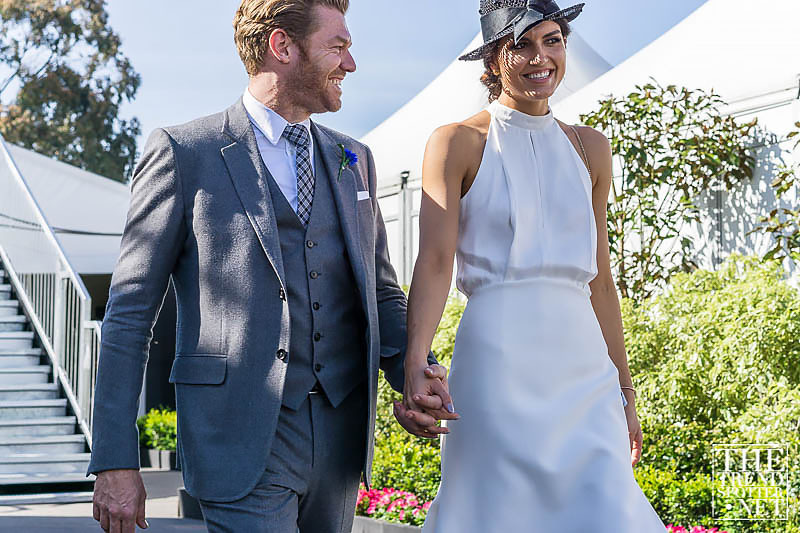 Headpieces and crowns we detailed with metallic filigree or patterned cut work. 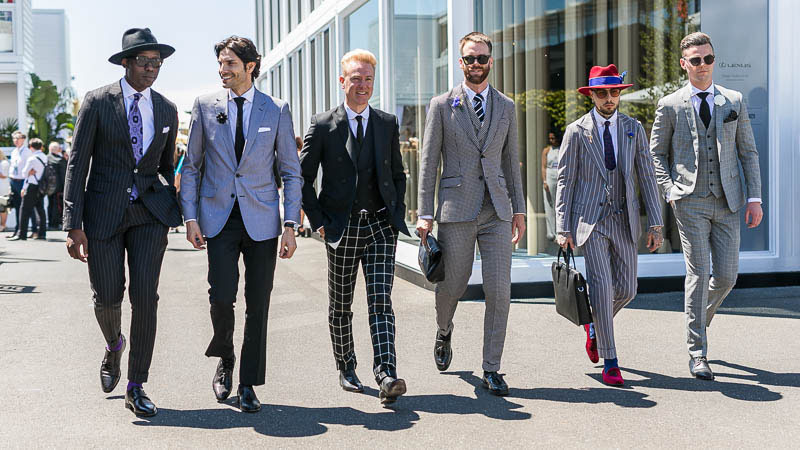 Other accessories included clutch bags in assortment of shapes from cigar box to satchel and strappy sandals.